ONTARIO, California | December 4, 2018 — Diagnostic Solutions International, LLC (DSI) and Honeywell International, Inc. today announced the companies have signed a licensing agreement and an exclusive global master distribution agreement for Diagnostic Solutions International, LLC to manufacture, market, distribute, sell and support Condition-Based Maintenance (CBM) Systems and Health Usage Monitoring Systems (HUMS) products in the worldwide marketplace. Through this partnership, Diagnostic Solutions International, LLC assumes responsibility, with limited exception(s), for the existing Honeywell CBM HUMS product lines successfully built under Honeywell—legacy Chadwick-Helmuth & legacy Intelligent Automation Corporation (IAC)—and will begin the manufacturing, selling and distributing of portable and on-board HUMS and HUMS related spares & software through its extensive global network. DSI will focus on product and application development along with product improvements for the CBM HUMS hardware, software & related products. Diagnostic Solutions International, LLC looks forward to building strong partnerships within its expanded global channel partner / dealer network which will benefit from DSI’s significant experience of more than 350+ years of combined experience with HUMS and vibration analysis systems. “This is a very exciting time for DSI,” said DSI owner Brian Hatcher. Jim Chadwick’s personal achievements, working with helicopter operators, were so dominant that his name became synonymous with rotor track and balance. Throughout the helicopter world, maintenance personnel ‘Chadwick’ their helicopters to keep them smooth. Chadwick-Helmuth pioneered the then-new technology of vibration test and measurement systems in the 1950s and developed the first Vibration Analysis System for Hughes Helicopter in the early 1960s. 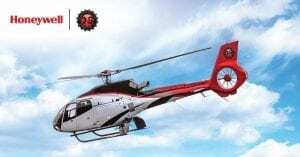 Chadwick-Helmuth revolutionized every aspect of helicopter vibration monitoring and rotor track and balance. Chadwick-Helmuth’s—now Honeywell—product line is unsurpassed in effectiveness, affordability, and maintainability. Honeywell acquired Chadwick-Helmuth in 2002 and acquired Intelligent Automation Corporation (IAC) in 2008. Both Chadwick-Helmuth and IAC were leaders in aircraft vibration analysis, helicopter rotor track and balance, and the emerging HUMS market until acquired by Honeywell International Inc.
Jim Chadwick was no doubt a legend in the aviation world and an even bigger legend to U.S. Marine Corps Aviation. Jim developed tools to help Marines dating back to the 1960’s, more than 50 years ago, and he continued his tireless work right up until the end of a career which spanned more than 60 years in an industry which he personally pioneered. Diagnostic Solutions International, LLC was formed in 2004 to support HUMS design and engineering efforts. In 2007 DSI expanded to become Honeywell’s premier supplier of HUMS-related engineering support and field service. DSI has been Honeywell’s largest HUMS distributor and will now expand their role with the new License Manufacturing & Global Master Distribution agreements. DSI prides itself on its ability to design, engineer, manufacture & support vibration analysis, rotor track & balance, and HUMS hardware, and software. DSI also prides itself by providing first-class, world-wide customer support, engineering and field support, HUMS system implementation, training, condition-based maintenance, and data management and analysis services.